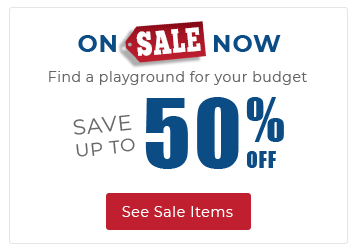 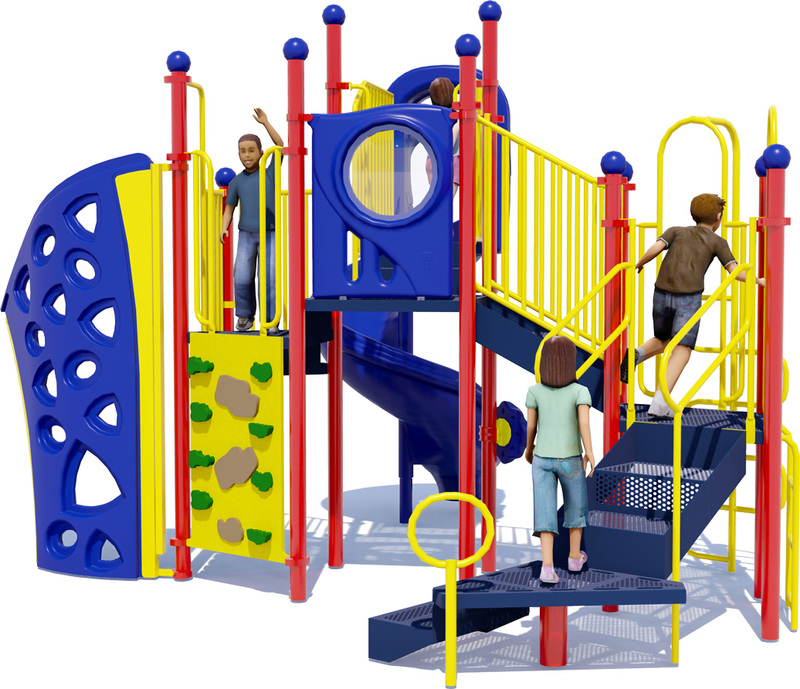 Our Heavenly View commercial play structure includes 8 fun and physical activities designed to accommodate up to 30 children ages 5 to 12 years old. 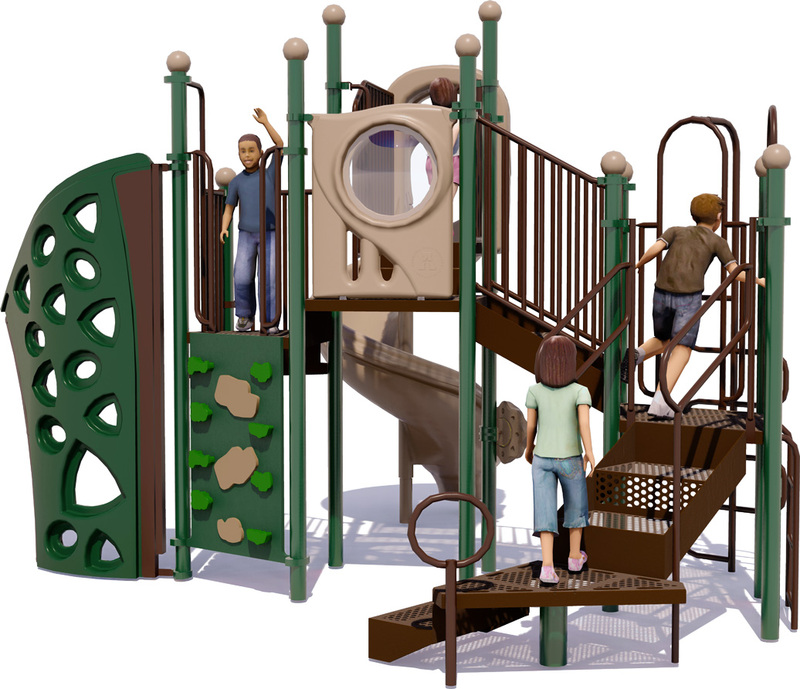 When installed on a school, church, or HOA playground, with site furnishings, commercial swings, and a large fabric shade, your community will offer a unique and inviting destination sure to be the focal point of your neighborhood. 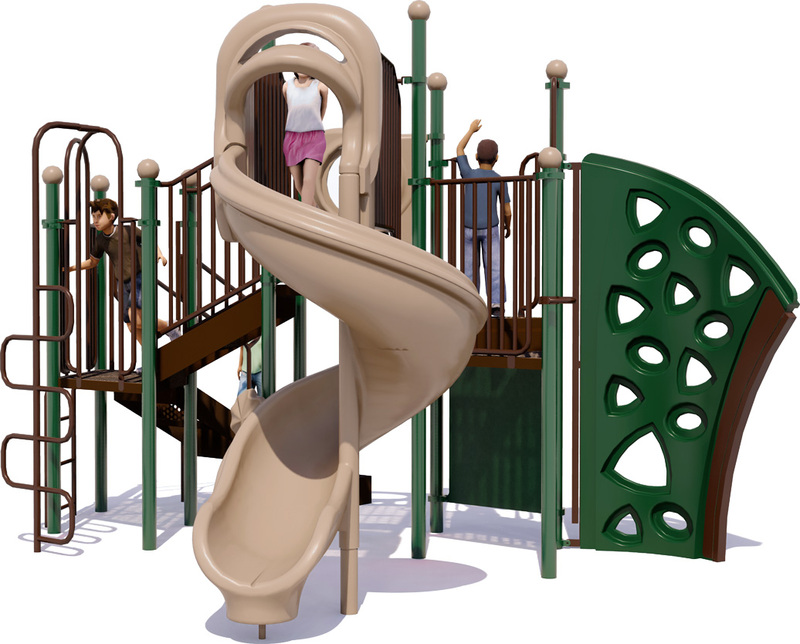 With a large 6' Hurricane spiral slide, and MaxClimb Ascend attachment, the kids on your park or playground will not only have a great time, but they'll also be improving their health and fitness. 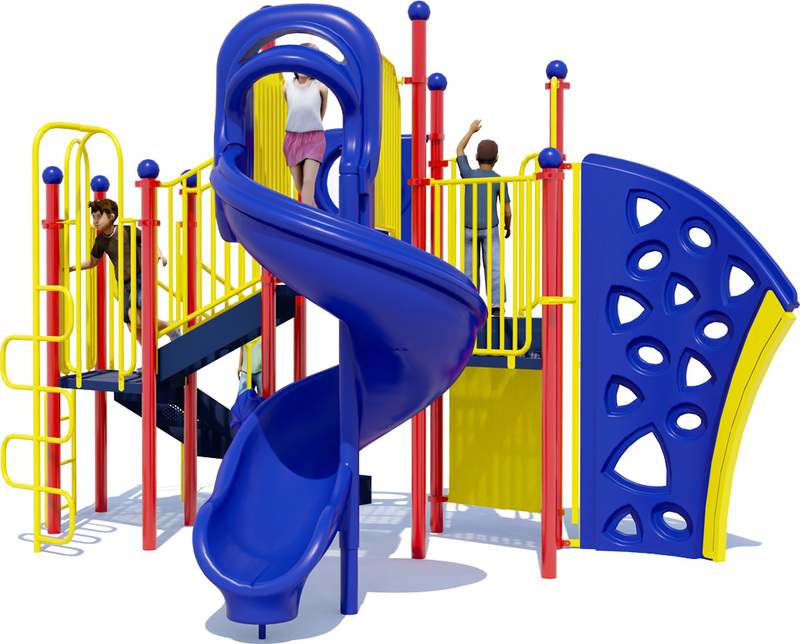 The Loop Pole Climber, Cliff Climber and Vertical Access Ladder are also physically demanding activities sure to challenge your children. 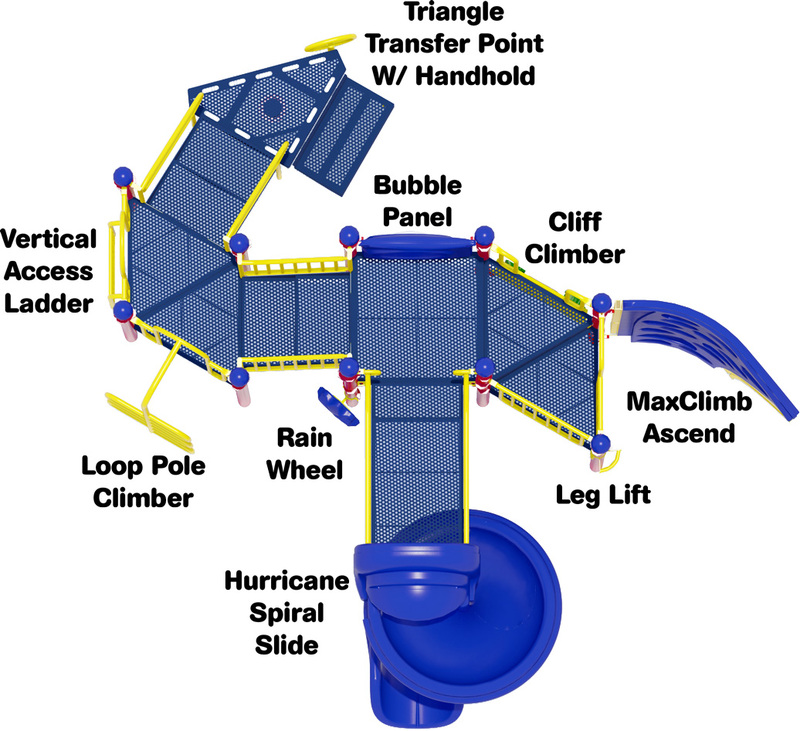 1 Hurricane Slide, 1 Loop Hole Climber, 1 Rain Wheel, And More!